Did I get all of today’s orders packed up to ship tomorrow? Did I make finish enough new pieces to replenish my inventory? Did I answer all of my customers’ questions? Did I get all of the newly completed pieces fully photographed and written up to add to the shop? Did I finish all of my errands and household chores for today? Did I finish my blog post/social media posting/weekly email for tomorrow? I’m sure you have your own list that measures your day (consciously or unconsciously). I have to remind myself over and over again that none of the questions on that list really matter in the long run. 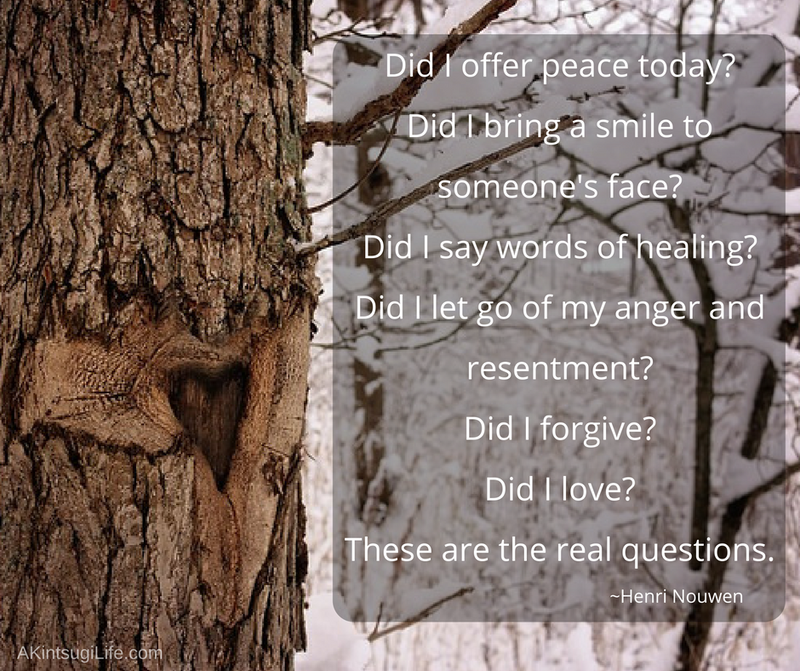 Henri Nouwen brings us back to the real questions that matter. It all comes down to whether I showed love to others, to my world, to myself, to the Divine. When you consider the real questions as the measure of your day instead of your to-do list, how does that change the way you approach your day?